The makers of OxyContin, which helped spark the opioid crisis, oversaw efforts to convince doctors that their drug couldn't be abused. 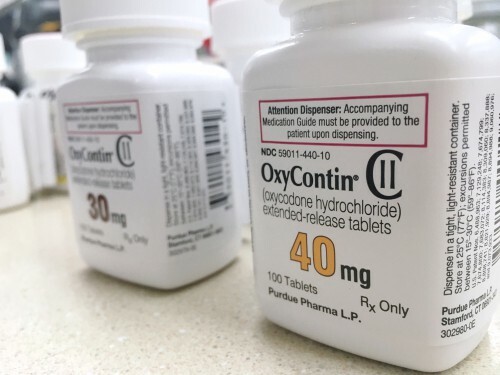 An infuriating new report from The New York Times reveals that the company that makes OxyContin orchestrated efforts to mislead doctors and the public at large about just how dangerous their drug was. The Sackler family owns Purdue Pharma, which manufactures OxyContin. The Sacklers are one of the wealthiest families in the world, and new documents reveal that family members directed misinformation campaigns about their product, which helped ignite the opioid crisis that has devastated huge swaths of the country. Sackler was president of Purdue Pharma at that time and urged sales representatives to tell doctors to prescribe the highest dosage of their drug possible. These documents are just a few of many emails that tie the Sacklers directly to the marketing of their drug, all of which were cited by the attorney general of Massachusetts in a new court filing. The documents fly in the face of Purdue Pharma’s past narrative, which alleged the Sacklers were not involved in the company’s day-to-day operations. In the early 2000s, as the massive scale of OxyContin abuse came to light, members of the Sackler family went on a secret offensive against negative PR in order to keep selling their drug. OxyContin was released on the market in 1996, and more than 200,000 people have died from prescription opioid overdoses since then. In 2007, the company and three top executives pleaded guilty to criminal charges relating to misinformation they’d spread about the dangers of Oxycontin and paid $634.5 million in fines, but the Sacklers themselves were not implicated in any wrongdoing at the time. Eight family members are currently being sued by the Massachusetts attorney general. Under the guidance of the Sacklers, Purdue Pharma sales reps told doctors that OxyContin couldn’t be abused, and were told to tell potential buyers that it had an addiction risk of “less than one percent.” This claim was utterly devoid of any scientific backing, according to The New York Times, but it did the trick. Within a few years of its launch, Purdue Pharma was selling a billion dollars of OxyContin every year. In 2016, Forbes estimated the Sackler family wealth to be at about $13 billion, though the exact figure is unknown.